With one of the wettest winters on record for much of Australia, there is continual discussion around the increasing Murray River flows. With one common question asked being, what height are the flows actually going to reach and what effect will this have on rural communities? In 2011 daily flow was 93 GL which resulted in flooding of low-lying flood plains in the Murray River system. In 1993 the Murray River peaked at 111 GL per day. Currently, the Murray River flow is sitting at 93 GL per day with a peak flow estimated around 100 GL per day during early December. To put the current river flow into perspective at this time last year the Murray River flow was just 6 GL per day increasing to 6.5 GL in early December. 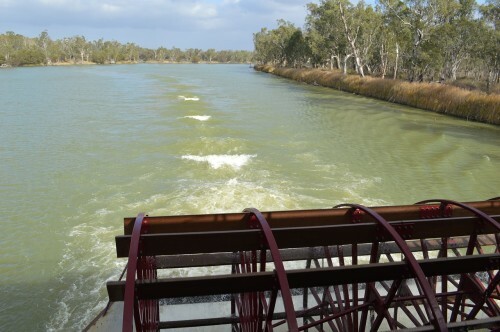 The obvious effect of the increase in the Murray River flows is the risk of flooding in low-lying riverside shack areas, across roads and through national parks. Often less thought about is the effects of tourism in the region. Many regional areas along the Murray River system are bracing for their peak annual tourist season across the summer holiday period. The question on everyone’s mind is, what impact media flood talk have on tourists set to travel to riverside towns? The upswing from such high inflows is the effect of the local ecosystem as waters moving across the floodplains initiates the food chain. Frogs are starting to excel, yabbies’ are breeding and the Murray Cod is seeing its best breeding year in 20 Years. To the agricultural community, one of the best things is the increase in water allocations, which were sitting at 30 percent for many water license holders earlier in spring. This will offer renewed confidence in this season’s forecast. Farmers and growers will be happy to be able to plan and accommodate the additional water.